Usage notes: Pédaler dans la choucroute is one of my favorite French expressions because it offers a fantastic visual image of someone working like crazy but getting exactly nowhere. J’ai l’impression de pédaler dans la choucroute depuis deux heures. I feel like I’ve been spinning my wheels for two hours. Ce n’est pas la peine de continuer à chercher – tu pédales dans la choucroute. Don’t bother continuing to search – you’re getting nowhere fast. 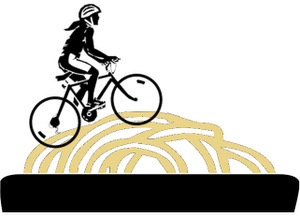 Pédaler dans la choucroute is also a completely bizarre expression – why on Earth would someone ride a bike in a bowl of sauerkraut? 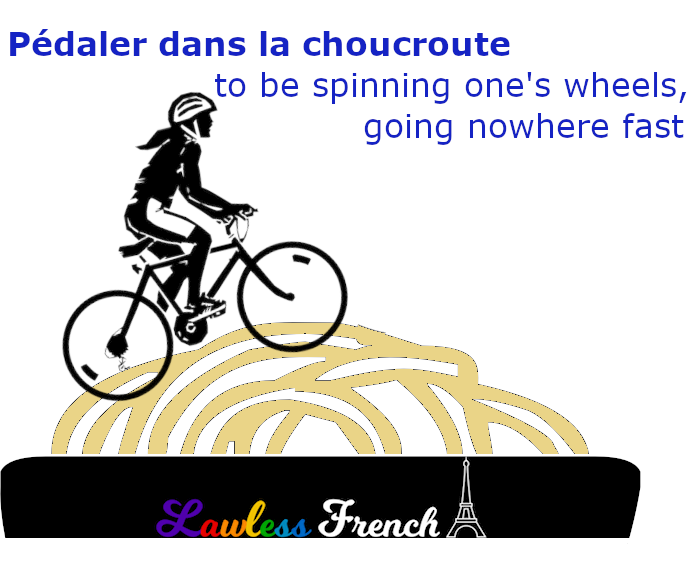 Interestingly, this idiom dates back to the early days of the Tour de France. When cyclists got too tired to continue, they’d climb into the broom wagon, which at the time was covered in ads for sauerkraut. So they’d be mocked for "pedaling in sauerkraut" on their way to the finish line. Eventually, the meaning left the world of cycling and evolved into saying that someone is making an effort but not getting anywhere. pédaler dans le couscous – "to pedal in the couscous"
pédaler dans la purée – "to pedal in the mashed potatoes"
pédaler dans la semoule – "to pedal in the semolina"
pédaler dans le yaourt – "to pedal in the yogurt"